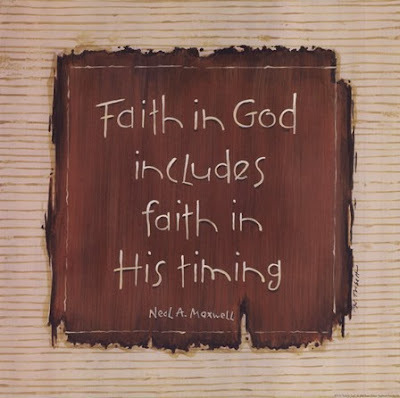 "Fear is the absence of faith." I've heard it all of my life, yet many of us have a fear of this, a fear of that, or "my greatest fear", myself being one of them. I have two greatest fears, my tire blowing out and crashing on the highway. Well, on May 1, 2011, both of those fears were realized at the same time. While bringing my son home from college for the summer, the rear passenger tire blew out, just as I crossed the Georgia state line, and caused me to lose control of my SUV. Now, if you know anything about me and my driving, you know I was speeding. In this case, I was going approximately 85-90 MPH. 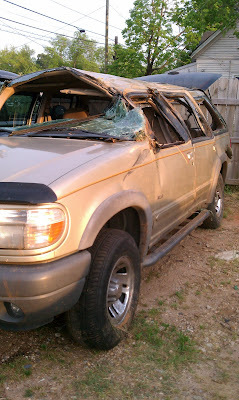 My SUV flipped over three times!! 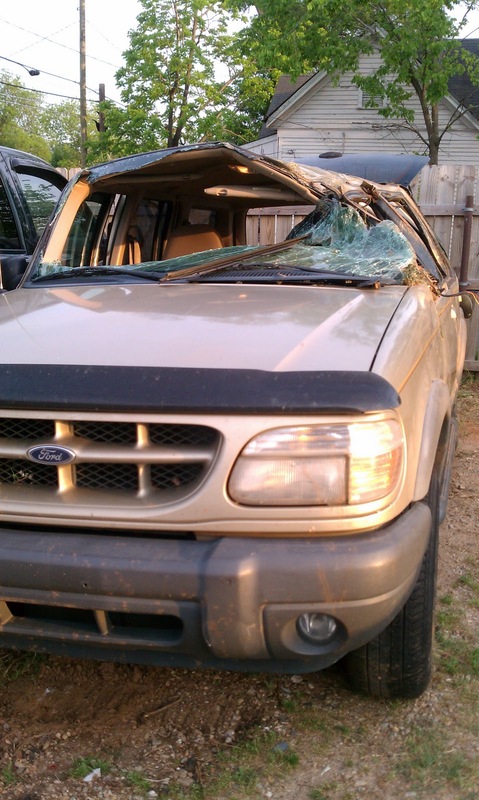 We (myself, my son, his roommate, and my daughter) tumbled through the grassy median that separated the Northbound and Southbound sides of the Interstate, but ALL of us walked away practically unharmed. What many of my professional colleagues never knew about me was that I always had a full-time job, while working in the wedding and event industry. At the time of the accident, I was working full-time while trying to build two companies simultaneously, Wrapped Couture and Enraptured Events. I HATED my day job and I was always praying for a way out and a way to get my companies known to the masses. God ALWAYS answers our prayers. It may not be the answer we're hoping for, in the pretty package we expect it to be delivered in, and definitely NOT in the quickness in which we ask. The answer to my prayer was definitely not wrapped up in a pretty package with a fancy bow! I wasn't severely injured in the accident, but I was banged up pretty badly. Because I was fighting to keep the car in the grass and not cross over to the Southbound side of the Interstate, I swallowed a lot of dirt and grass as we tumbled. This caused damage to my vocal cords and prevented me from speaking for 6 weeks! I was now unable to work. By doctors orders, I was now unable to do the job that I hated and I now had no income! I couldn't speak at all, just barely above a whisper. I could only communicate via email, text message, and Twitter. I literally had the world at my fingertips. So, what was I to do? The answer came quite naturally. Write! I started this blog and was later accepted into TWIPS (Twitter Wedding Industry Pals, a great support network of wedding professionals, bloggers, and vendors that support each other in business and life), continued to tweet, and gained a new found level of support that I never had before or thought possible. I now had the time to really devote to growing my companies and bring awareness to them. I was able to attend seminars and networking events that my job would have caused me to miss. Slowly, orders for gift baskets began to come in from across the country and I was commissioned to design several events. This post isn't meant to be a sad one or one to elicit sympathy. It's meant to encourage you to push through the pain, as I often do. 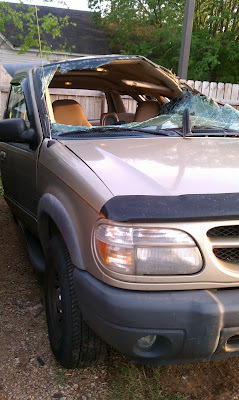 Granted, when my SUV flipped over, I felt like my world had been turned upside down too. In a way, it had. I lost a lot of things but I gained so much more. More than anything, I survived! I realized what's most important in life. I never lost faith or gave up on the career that I'm most passionate about. Being creative is what I am meant to do and where I thrive. Both business continue to thrive and my blog, still being new, has a great readership. I now have what I've wanted, even if it was delivered in a way that I would have never imagined. For more "One Day In December" posts, visit Emma of Aphrodites Wedding and view her eye candy recap post from yesterday and tune in tomorrow for Ilse's post of her highlight of 2011, over at the Secret Jewel.